BookPeople of Moscow, Moscow, Idaho. Found ona leafy Main Street in this pleasant university town, the name of this shop tells you all you need to know about its community-minded vibe. Still, with its proximity to the Idaho panhandle and the wilds of northern Montana, it’s hard not to imagine a clichéd libertarian thriller unfolding in its aisles. Perhaps a conspiracy-minded survivalist makes a trip into town to restock his bunker with Vienna sausages and Kool-Aid packets—but his journey goes awry when he’s forced to pay the 6 percent sales tax on the latest Clive Cussler novel. Showdown-slash-manhunt ensues. City Lights Booksellers, San Francisco, California. There’s something truly hopeful about bookstores that have become tourist destinations, and ever since Lawrence Ferlinghetti stood up to The Man in 1957, City Lights has held that status. 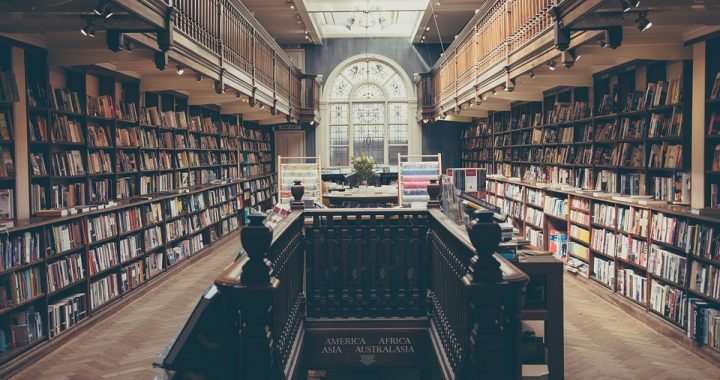 Why wait in line to ride the trolley car or brave the fog of patchouli on The Haight when this gorgeously curated bookstore can easily help you to kill an afternoon… but where to kill a character? As tempting as it may be to take out an apptrepeneur on the cobbles of Jack Kerouac Alley, the store’s venerable Poet’s Chair—the rocking chair in the Poetry Room that is nearly always creaking—is just begging for a body. And there’s even a perfect tag line: Poetry is not dead… but Roderick is! Brattle Book Shop, Boston, Massachusetts. If you’ve been to this antiquarian gem near the sticky bricks of The Freedom Trail, you are probably not envisioning the fusty used bookstore with the giant yellow No. 2 pencil planted across its brow, but rather the puddled outdoor lot that flanks the shop and attracts so many of its customers. Under fire escapes and high brick walls, walking around snow drifts and through the clouds of smoking browsers, you’ll find outdoor shelves built into the bricks and wheeled carts arranged in impromptu aisles—and maybe, just maybe, under that pile of blue tarps in the corner, some sorry shark from Dennis Lehane’s Dorchester who should’ve never doubled down. Prairie Lights, Iowa City, Iowa. My travels through the heart of the heart of the country have always added a bit of optimism to my views of America, and this bright, friendly shop only bolsters that feeling. But if you think it’s more suited for an apple-pie-and-book-club gathering than a narrative bludgeoning, perhaps you are forgetting how many fictional killers present themselves as downright nice. Think Norman Bates, Patrick Bateman, Lou Ford, Hannibal Lecter… now think about the character who should have been more suspicious about that offer for a home-cooked meal. Seattle Mystery Bookshop, Seattle, Washington. Tucked into the depths of a stone building near Pioneer Square, this well-stocked shop is a crime writer’s dream. Something about the way the store sinks into the hillside below the sidewalk is positively coffinlike. 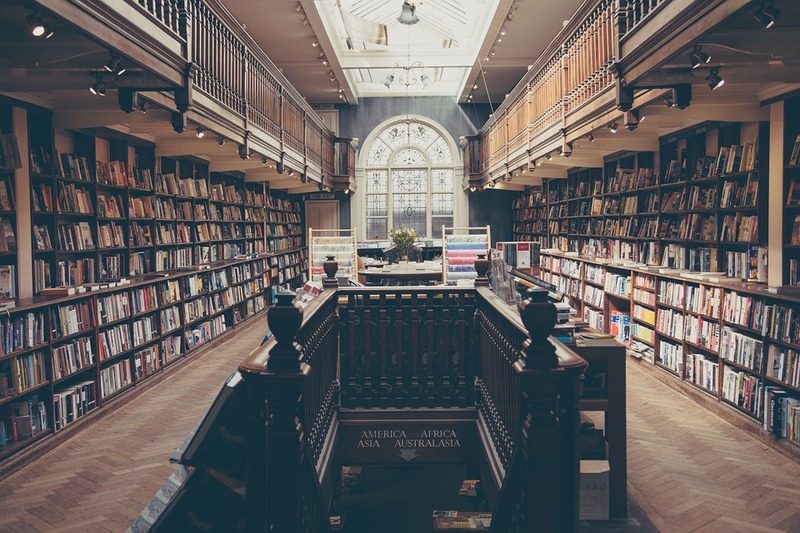 Add the aroma of musty first editions, customers browsing in damp trench coats, and to-go cups of English Breakfast tea, and it’s not much effort to imagine some poor stiff crammed into the crawlspace below the teeming Cozy shelves. Harvard Book Store, Cambridge, Massachusetts. Being situated across the street from America’s oldest university gives this solid indie a full cast of potential victims, but who would be most entertaining to whack on the page? Perhaps a foreign prince? A tabloid-prone movie star? A blue-blooded coxswain? Aha! The future Secretary of the Treasury, stabbed in the Econ section! Innisfree Bookshop, Meredith, New Hampshire. On the beautiful shores of Lake Winnipesaukee, near the White Mountains of New Hampshire, this quaint store is tucked inside a refurbished linen mill and shares the space with a Ben & Jerry’s. Outside, on a grassy lawn, an American flag snaps in the breeze, and sailboats can be seen carving across the water. This picturesque setting has all the makings for a perfect August day…. until a tourist from Massachusetts is found dead in the sports section—with his mouth taped shut! Politics and Prose Bookstore, Washington, D.C. What better way to purge your frustrations with the current political climate than to fictionalize a high-profile assassination at this bustling store in the center of D.C.? These days, potential victims would be limited to those in the judiciary or legislative branch, or perhaps a Russian diplomat; even the most gullible reader would scoff at the idea of someone from the executive branch setting foot in a bookstore. Read The Assassin’s Wife before you visit The Book People to get a real sense of the wild country that surrounds Moscow, Idaho.